This is our real strong point and also our most popular product. Particularly recommended to improve the most important areas of your home. 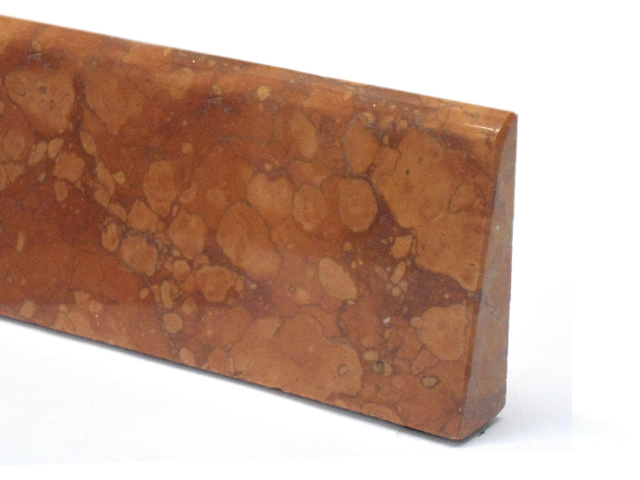 Only in marble, its main characteristic resides in an high brightness, derived from very accurate polishing. Normally required and produced with height 10 cm and thickness 1,5-2 cm. 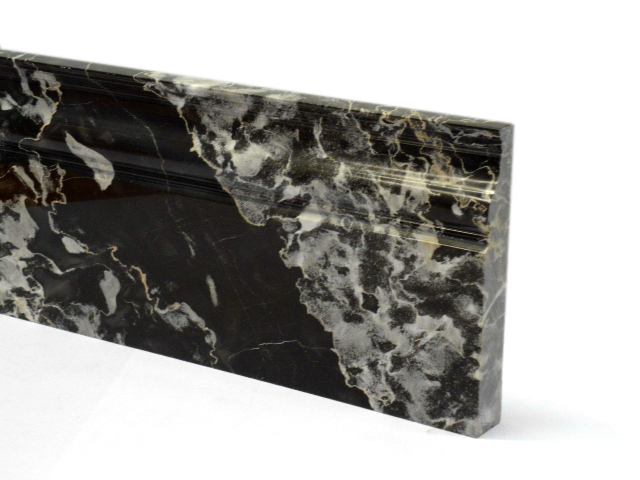 Simple and elegant ,this particular marble product, is a good alternative to the profile A for simpler tastes, but not less original and stylish: height 10 cm and thickness 2 cm. To adorning your most prestigious areas we also offer a more “classic” and straight solution. 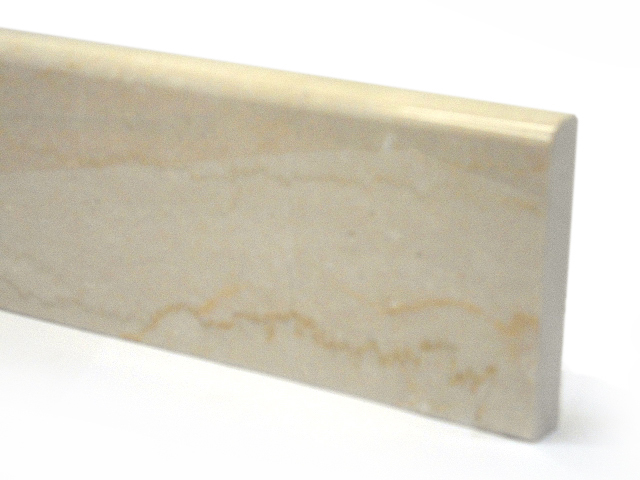 Available in marble: height 10 cm and thickness 2 cm. 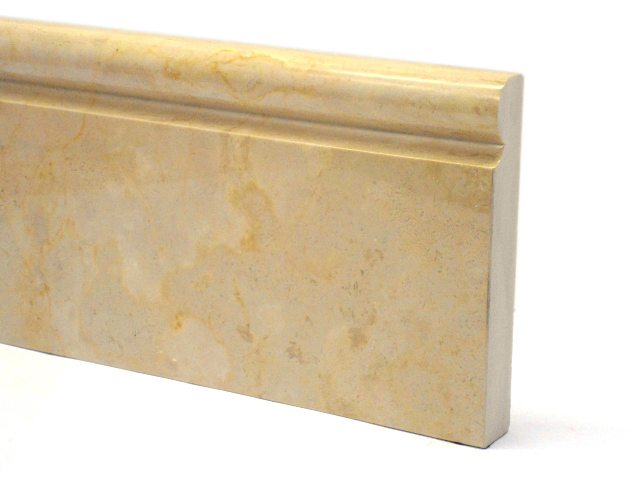 If you like a marble skirting with traditional lines but thicker, then we would propose a special solution: rounded edge and double thickness. Height 10 cm and thickness 2 cm. Do you have a floor heating? We thought just for you this particular solution: in fact this unique and exclusive skirting is the only one that can cover the space between floor and wall. Its line is designed especially to hide the defects of the floor, without weighting with an excessive thickness of a 2 cm skirting. 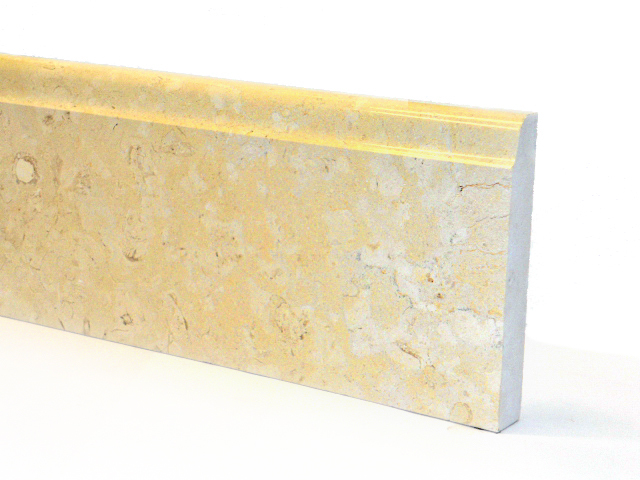 Available in marble and also in granite, polished, honed and brushed. Height 8-10 and thickness 2 cm at the base and 1 cm on the top.